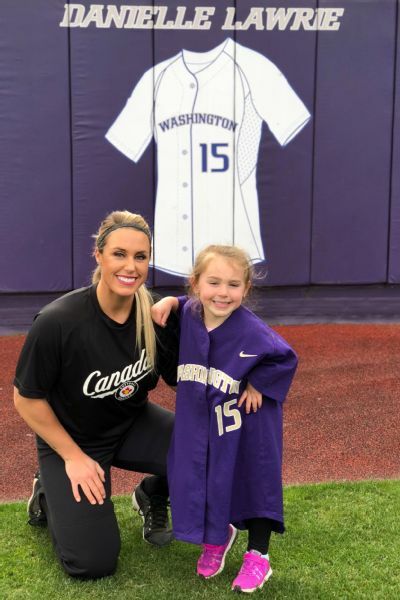 Washington legend Danielle Lawrie is a mother of two and a pitcher competing for a spot in the 2020 Olympics. 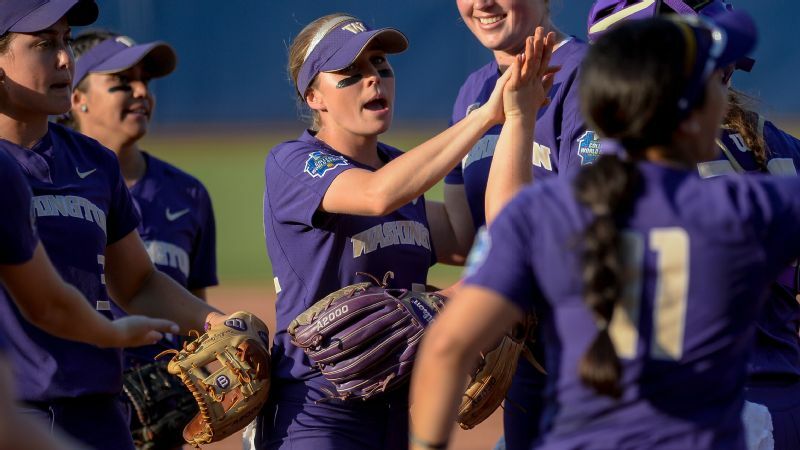 Soon after University of Washington shortstop Sis Bates was named the Pac-12's Defensive Player of the Year this past season, she received a congratulatory message from one of her biggest fans. Four-year-old Madison Locke has a poster of Bates hanging in her bedroom. She gets excited every time she sees the player, whose penchant for web gems is matched only by her propensity for the kind of joyful grins that kids all over the world recognize. It would seem that anyone who wants to displace Bates as Madison's favorite has her work cut out for her. All the more if that challenger for the child's affection is a pitcher known less for any perpetual smile on the field and more for a withering glare that makes any trip to the plate look like a stroll to the gallows. But as she returns to the circle for Team Canada after nearly four years in retirement, Danielle Lawrie has one notable trump card: she is Madison's mom. Knowing Mom is one of the most feared and revered pitchers of her generation sounds pretty cool, too. Just ask Bates. Watching Lawrie dominate college softball in 2009 was what led her to Washington in the first place. "That's the year that I first started watching, and that's when I decided I wanted to go to Washington," Bates said while representing the United States in the recent International Cup. "I was so young, watching and thinking 'Oh my goodness, I want to be like her.' 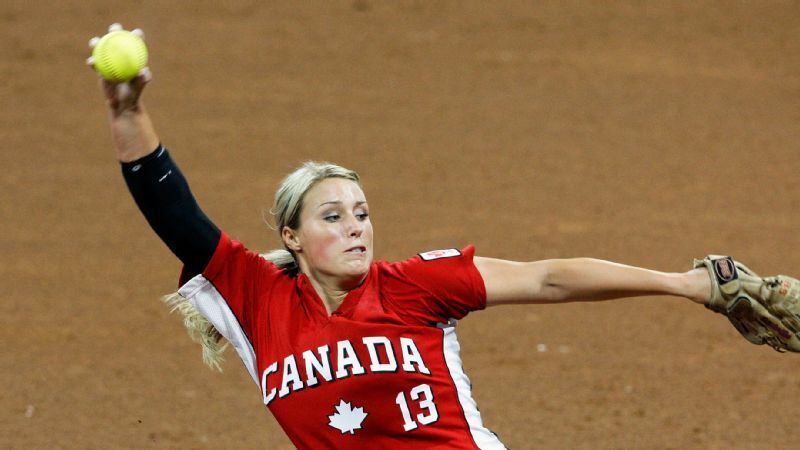 "
After those years away that followed the birth of Madison and later a second daughter, Audrey, now nearly 2 years old, Lawrie is back with the Canadian national team to compete in next month's WBSC World Championship and attempt to qualify for softball's own Olympic comeback at Toyko 2020. Like Serena Williams, Lawrie is back because motherhood and athletic excellence aren't mutually exclusive. She is back at 31 years old so her daughters can see that their mom is a pitcher -- and so that others can see that a pitcher is a mom. And, more than a little, so that she can see herself as whole. "The example that I'm trying to set for my girls to see one day is a really unique thing," Lawrie said. 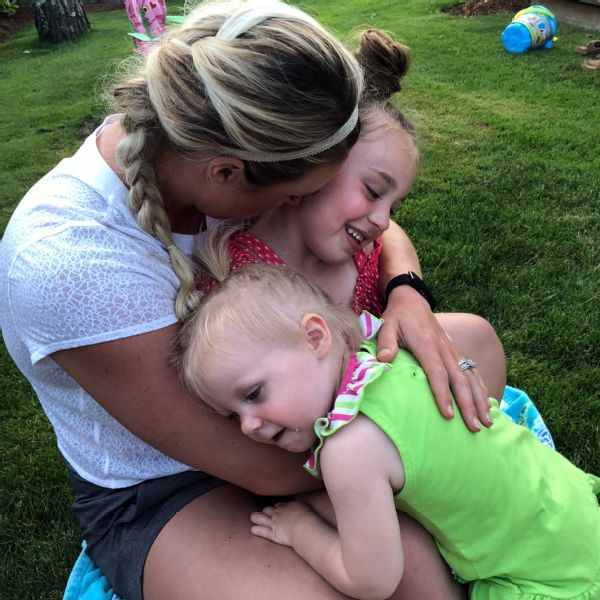 "If I can set the example or set the bar high for them, that means maybe I'm doing that for a lot of other young women that are watching, a lot of moms that will get to see 'Wow, we still can do what we want to do, even if we have children.' "
The 2008 Olympics didn't go quite how a 21-year-old Danielle Lawrie envisioned. Unlike most players eyeing 2020, Lawrie wouldn't be new to that stage. She was only 21 when she competed in the 2008 Beijing Games -- the last for softball until Tokyo in two years' time -- but she was a known commodity even then. 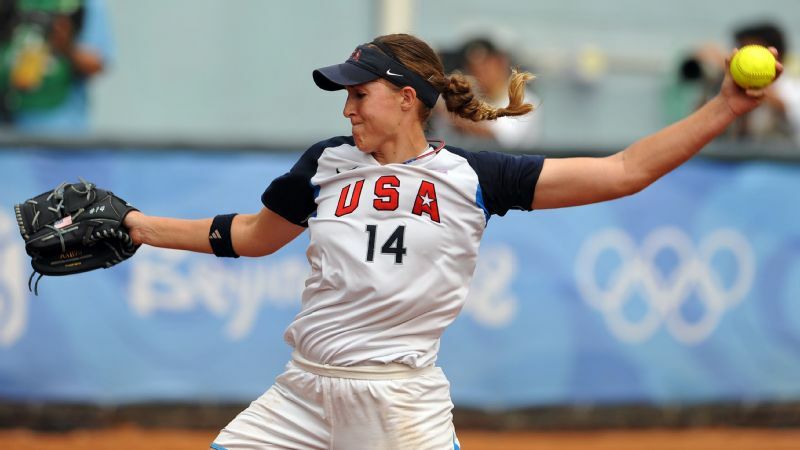 Before she was twice voted the NCAA Player of the Year, before she even threw a pitch for Washington, Lawrie announced herself to the softball world by beating the United States in the 2005 World Cup. 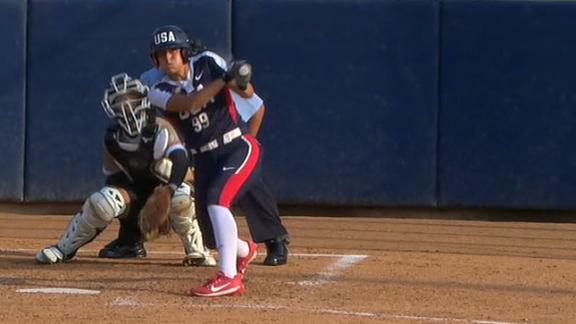 Just 18 years old at the time, she ended Team USA's three-year winning streak in international competition. Yet her subsequent Olympic experience proved to be something less than living out a dream. Canada lost to Australia in a semifinal and missed the podium in 2008. Lawrie didn't pitch in that loss and pitched only sparingly in Canada's eight games. While reluctant to dwell too long on all that went into it, she called the entire process, which saw her redshirt at Washington to train with the national team, one of the hardest years of her life. "Obviously when you're so close to medaling and you don't medal, that's frustrating," Lawrie said as a starting point. "I think my age played a factor into some immaturity things that could have been handled differently on my end. On the flip side, I think there are some women on the team that potentially could have been better and treated people a little bit better." The college seasons that followed stood out as exceptional. 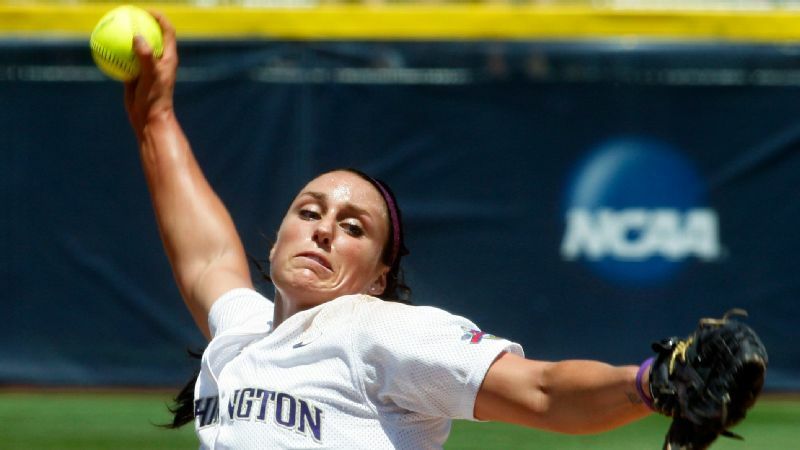 She went 42-8 with a 0.97 ERA and 521 strikeouts in more than 350 innings during the championship season in 2009 -- a run that not only included Most Outstanding Player honors in the Women's College World Series but 395 pitches in 22 innings to survive the final day of a regional. She went 40-5 in her final season. The numbers are even more staggering in hindsight. She did what had come to be expected of aces like Monica Abbott and Cat Osterman. But she did it as one era fully gave way to another, as a surge in offense began to make such expectations increasingly unrealistic. Lawrie rarely smiled in the circle. She rarely showed negative emotion, for that matter. She just pitched, driven to succeed. She was as intense a competitor as anyone in the recent history of college softball. It was as if batters were mere inconveniences and she knew at every moment, from the first game of the season on, exactly how many outs stood between her and a title. It turns out that sense of controlled fury wasn't an illusion. "I was so bitter and so fueled by so many different things -- it wasn't one thing that led to this happening," Lawrie said. "It was legitimately taking a year off from school and committing it to [Canada], and a lot of things falling through and not being what you want them to be, really made me realize I'm in control of how I can approach this game and how hard I can work and that I have to be better." But there was no Olympic redemption to be found in 2012, for her or anyone else, as softball was removed from the Olympic slate. 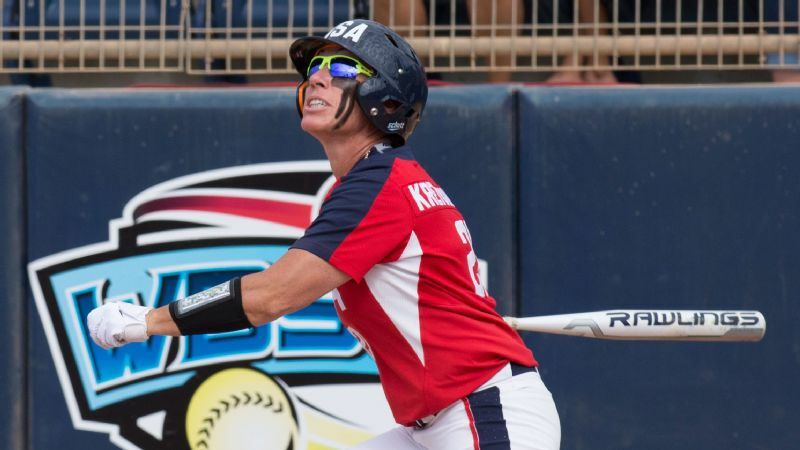 After two seasons with the USSSA Pride of National Pro Fastpitch, she learned she was pregnant with Madison while in Japan in 2013 playing in that country's professional league. She returned to the U.S. and eventually returned to the field with the Pride as a new mother in 2014. She won the title-clinching game that season but announced her retirement soon thereafter. Her body and mind, she wrote in an Instagram post, thanked her. It was time to move on. Danielle Lawrie and her competitive fire led Washington to a national championship in 2009. The comeback took root last summer. She felt she had gotten back into shape relatively quickly after Audrey's birth. Her body still felt good, even if she had scarcely thrown a pitch in even a casual setting since 2014. What appealed to her most, in fact, wasn't necessarily rediscovering the sensation of a strikeout or a ball in her hand, but the feeling of having something to train for. When the subject of a comeback was broached with her husband, Drew Locke, who played professional baseball for nearly a decade, they ended up on the same page to whatever degree that's possible. "I thought she was a little bit crazy," Locke said. That said, no one has yet won a stare-down against Lawrie, and he knew better than to try. "She's always been the most competitive person I've ever known, whether it's softball or golf or ping-pong or whatever," he said. "So I think the juices started flowing a little bit and she put herself behind it. Once I saw that, I knew there was no looking back and we were in for the journey. The family was all-in." Beyond scheduling and finances, the sacrifice required by all parties was driven home earlier this summer. The day before she was to board a flight from California to Japan with the Canadian team, she saw that she had missed a message from Locke while she practiced. She texted to ask if everything was OK. He replied that Audrey had been taken to the hospital in an ambulance. A surgical procedure was scheduled for a lung issue. Lawrie immediately flew from California back home to Seattle that evening. Only once Audrey was in the clear did Lawrie proceed on to Japan a few days later. Most of the changes to the everyday patterns of life are less dramatic, of course. A nanny helps, as do family and friends. That small community of support common in Olympic stories. On the softball side, the challenge can be something as simple as finding someone to catch her bullpen sessions when she is on the road as a college softball analyst on television -- or on vacation over the Fourth of July, when Locke's connections in the Cape Cod Baseball League landed her a catcher rather befuddled by the rise ball. "My life at home right now, family life and kids is so much harder than this -- in a great way," Lawrie said. "I love being a mom and how much it has changed me, but I also respect that it is a lot of work. And when I get to go on the mound, it's really the only time when I don't think about that, when I don't think about the stress of parenthood or the stress of family. It's all about my training and beating hitters and that competitor coming out. It's been a really cool thing." Lawrie is now the elder stateswoman on a Canadian pitching staff that includes more recent NCAA standouts Jenna Caira, Sara Groenewegen, Karissa Hovinga and Sara Plourde. 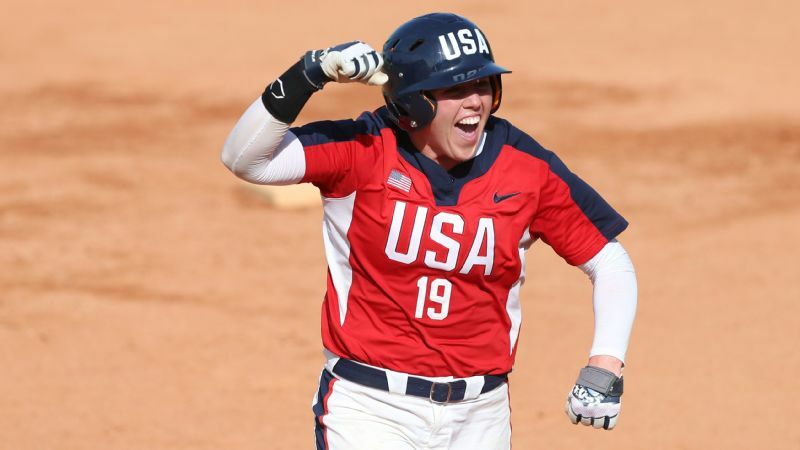 Lawrie is younger than Monica Abbott, who is back with the U.S. team. She is younger than Yukiko Ueno, still part of Japan's roster and the winning pitcher in the 2008 gold-medal game. She is even younger than Serena, for that matter. Having "worked her tail off," as her former college coach put it, to regain the conditioning needed for world-class competition, there is no reason to think the comeback is a long shot. 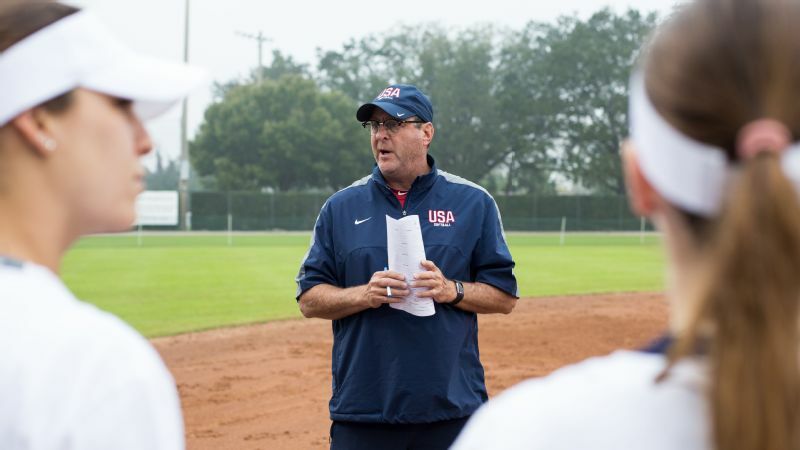 "It's really cool to see her humbled by having children," Washington coach Heather Tarr said during the International Cup, where she was an assistant coach with Team USA. "It's taken her to a new level as a person, just in terms of, I think, she has another side that's coming out in her, an empathetic person. But also she's never lost that competitiveness, so it's neat to see somebody like her have this competitive outlet. "I think it's going to continue to make her a better person because she has this outlet where she can balance herself as a human being. Somebody who never maybe got to fulfill her full dreams as an Olympic athlete." 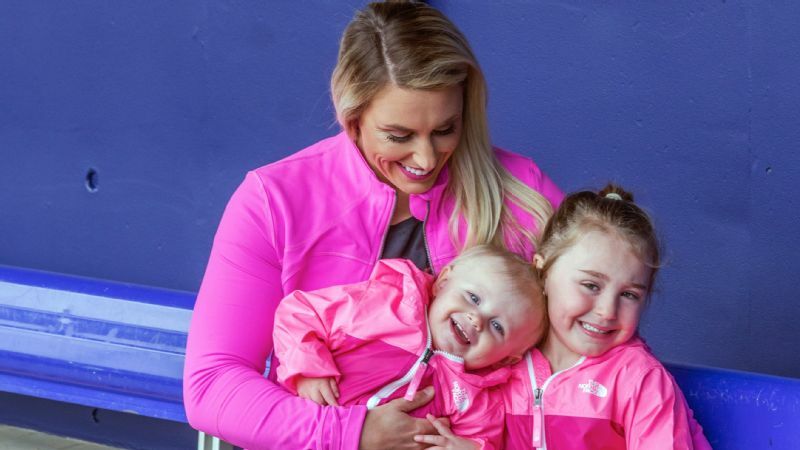 Danielle Lawrie hopes to inspire not only her own daughters, but girls and women everywhere, with her return to softball. She pitched against the Huskies in a scrimmage late this spring. Locke said Washington pitching coach Lance Glasoe told him Lawrie had thrown around 63 or 64 mph much of the winter and spring. When she got into something resembling a real game that day the speed climbed to 67 or 68 mph. Bates said the drop ball Lawrie threw her was so good it was "dirty," followed by a pitch sequence that quickly ended the at-bat. Competition pushed her to another level. Her pitches left batters flummoxed. It sounds a lot like the same pitcher who was always the favorite in a battle of wills, who lifted Washington to its lone title and whose jersey number is retired on the outfield wall. There were a couple of differences, though, including one who might just have been swayed away from Bates. "I don't think she knows yet if she's doing a good job or a bad job," Locke said of Madison evaluating her mom. "She just knows she's out there, and she really likes that. Maddie yelled 'Go Mommy,' and Mommy pointed at her and waved before she threw the first pitch. That was special to get to see that." Lawrie didn't get the Olympic experience she hoped for the first time. When the opportunity came around again, motherhood wasn't a reason to say no. It turned out to be the best reason to say yes.